#Iran is developing a new way of waging war beyond its borders using #Syria as the laboratory.Iran is developing a new way of waging war beyond its borders using Syria as the laboratory. Combat units drawn from the conventional brigades and divisions of the Islamic Revolutionary Guards Corps (IRGC) have been fighting on the front lines alongside Syrian and Iraqi militias and Lebanese Hezbollah since October 2015. The units appear to be deploying as cadres—bringing most of their officers, some of their non-commissioned officers (NCOs), and only a small number of enlisted ranks—and plugging into Iraqi, Syrian, and Hezbollah militia groups that serve as their foot soldiers. Iranian officials have labored to conceal the extent of their involvement in the Syrian conflict, repeatedly insisting that they are only training, advising, and assisting Syrian forces. The announcements of Iranian casualties reported by Iranian media and social media tell another story. 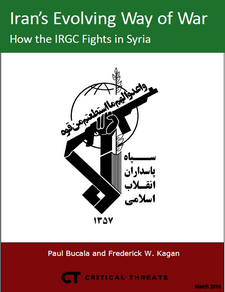 Careful analysis of the ranks and unit affiliations of Iranians reported as having been killed in Syria demonstrates that IRGC officers are leading soldiers in combat and not merely advising. Comparisons of the casualty data with the dates of major pro-regime operations in Syria make it possible to determine that most of these IRGC units were fighting in the major offensives around Aleppo between October 2015 and February 2016 facilitated by the start of Russian air operations. The data shows, however, that Iranian officers are unlikely to have been commanding Iranian troops in Syria, as there have not been enough casualties reported among IRGC enlisted personnel to account for the number of officers killed based on normal casualty ratios. We hypothesize, therefore, that the IRGC has developed the ability to send a unit cadre to Syria, implant it among groups of militias, and successfully lead those militias in extremely hard fighting. This capability is a natural evolution of the IRGC’s own design: IRGC units are meant to receive reinforcements of Iran’s mobilized reserves (the Basij) in times of war. Conducting operations of this variety on foreign soil with a conglomerate of militias and across linguistic barriers, however, is extremely difficult. If the IRGC has, indeed, mastered this ability, then it has positioned itself to use small numbers of conventional forces on foreign battlefields to produce effects disproportionate to their size. It would constitute a significant increase in Iran’s ability to project conventional military power abroad. Iran could use this method of expeditionary operations in other theaters, such as Iraq, Yemen, and Lebanon, with large groups of allies and proxy militias. This evolution in Iranian warfighting technique coupled with Iran’s stated intention to purchase advanced fighter-bombers from Russia indicates that Iran may be seeking to field a conventional military capability. 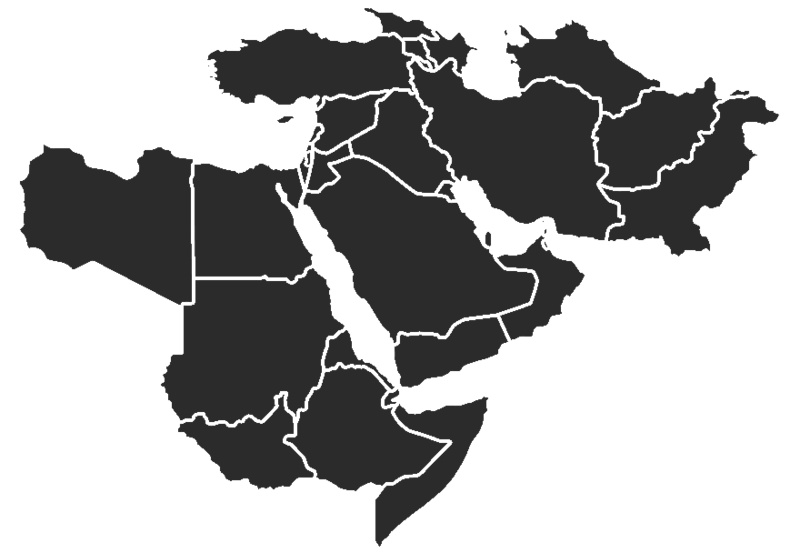 It could seek to use that capability to challenge the armed forces of regional states such as Saudi Arabia, the United Arab Emirates, and Israel directly in proxy wars. It is too soon to conclude that the IRGC intends to field this capability across all or most of its units. It is clear, however, that Western analysts must begin to rethink decades-old assessments of Iran’s commitment to relying on the Qods Force and proxies to fight its battles abroad. We must open our minds to the possibility that post-sanctions Iran intends to become a significant regional military actor.